Life at Pioneer Manor is the beginning of a beautiful new chapter, full of friendships, activities and a way of life created to enrich the lives of others. Residents are welcomed and encouraged to be a part of our social activities and live the luxurious life they deserve, without the obligation to keep up with chores or burdensome household tasks. Often the transition to a skilled nursing facility is challenging. At Pioneer Manor, we strive to ease the process by providing an environment where residents and guests feel informed and comfortable. We also offer many activities and resources. Each resident has their own birthday party on their actual birthday. 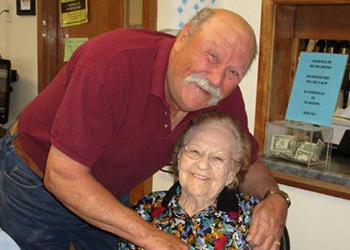 We love to celebrate with our residents and make them feel special on their special day. Come see our residents and friendly staff in action here at Pioneer Manor! Admissions can be processed everyday. RNs are on duty and onsite daily.